Treating home flea infestations can be a frustrating process--not just because it's costly, but because it can also leave behind traces of harmful chemicals. 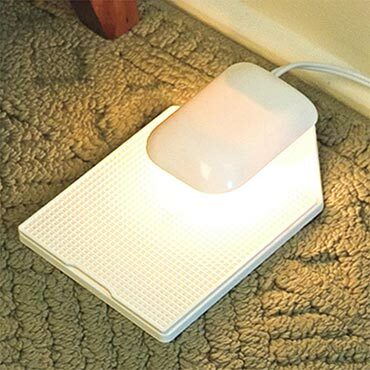 This Flea Secure™ Light Trap eliminates both those issues! It offers years of protection by attracting fleas with nothing but a 5-watt light bulb, and traps fleas on a sticky, replaceable pad. Each pad can hold up to 10,000 fleas, and just one female flea caught can prevent 200 eggs from being laid. One trap attracts fleas from up to 25 ft away and treats 625 sq ft. Place it out of the way, such as under a sofa or beneath a side table, and it will get right to work. See usage guide for complete instructions, including how many traps to use depending on the number of pets you have.